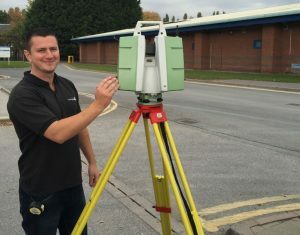 Using advanced survey technology to provide architects, consulting engineers and contractors with an accurate representation of a building for refurbishment, renovation and restoration projects. Geoterra uses a range of survey methods to provide architects, contractors and consulting engineers with accurate and detailed floor plans, roof plans, elevations and sections of a building, through to producing a full 3D Revit model. Our measured building survey services provides clients in the building sector with an accurate representation of a buildings structure prior to any refurbishment, renovation or restoration work taking place. Using advanced 3D laser scanning technology, data collection is now faster and less intrusive compared to traditional survey methods. We can present the survey data in a wide variety of formats ranging from 2D floor plans, roof plans and sections, to 3D point clouds and cutting-edge 3D Revit models. We carry out surveys for a wide range of building sector projects for clients in the commercial and industrial, retail and leisure, housing and education to listed buildings and heritage sites.